By 1963, The Dominettes were renamed The Ugly's. Eventually, the Ugly's were able to secure a recording contract with Pye Records and the first release from the group in 1965 was an original song entitled "Wake Up My Mind", composed by Burnet, Holden and Steve Gibbons. The single was advanced for its time and featured some socially conscious lyrics – very unlike the kind of material produced by most other pop groups of the period. The record did not sell well in the United Kingdom, but was a big hit on the national Australian chart, reaching No. 14. John Gordon left in 1965, and was replaced by Jimmy O'Neil from a local band called The Yamps (he had also spent some time with The Walker Brothers). A second Ugly's single released the same year was "It's Alright". This one featured prominent use of a harpsichord, as played by O'Neil. The record fell short of the UK Singles Chart, despite the group's appearance on the television program, Ready Steady Go! to promote it. Other Ugly's singles were released between 1965 and 1967 including a cover version of "End of the Season", a song composed by Ray Davies. This represented a departure from the Ugly's' previous records, as they had all been group compositions up to that point. 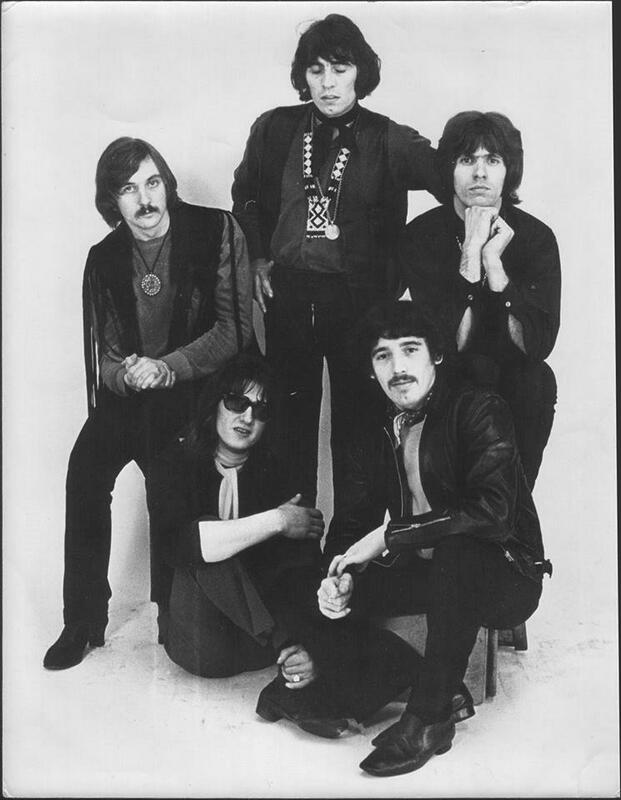 During this period, there were many personnel changes in the Ugly's line-up which included the departure of Bob Burnett and John Hustwayte. Bass guitarist Dave Pegg joined for a year before leaving to join the Ian Campbell Group. He was replaced by Dave Morgan from a local band called Blaises, and had also been a former member of Danny King's Mayfair Set. Dave Pegg was later in a local group called The Exception and from there, he joined Fairport Convention. Dave Morgan also composed the song "Something" which ended up as the b-side of the Move's chart-topping "Blackberry Way" single. Jimmy O'Neil left the Ugly's in 1968 to join The Mindbenders and founding member Jim Holden also departed later that year. Former Brumbeats guitarist Roger Hill (born 1 January 1945, Erdington, Birmingham died 8 November 2011, Good Hope Hospital, Sutton Coldfield) joined the Ugly's and stayed for almost a year, before leaving to join previously-departed Dave Pegg in forming a new band called The Exception. Roger Hill was replaced by Will Hammond (from The Yamps) who stayed in the Ugly's line-up until the end. Jim Holden was replaced by drummer Keith Smart from Danny King's Mayfair Set. Keyboard player Richard Tandy, who also played on the Move's "Blackberry Way", joined in 1968 and eventually joined the Electric Light Orchestra. From left: Trevor Burton, Mike Kellie, Denny Laine & Steve Gibbons. (Photo by Estate Of Keith Morris/Redferns).